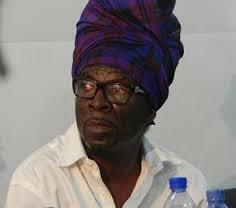 The Administrator of the Ghana Music Rights Organization (GHAMRO) Abraham Nuertey Adjetey popularly known as Agya Abraham has said that some outstanding young “right owners” (artistes) have benefited from the first distribution of royalties this year. 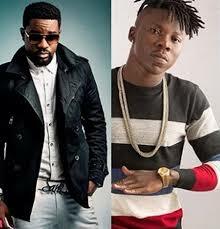 These artistes include BET Award winners Sarkodie and Stonebwoy. Speaking to BREEZE 90.9FM reporter, Ntewusu Philomina Lisa in an exclusive interview today at the GHAMRO head office, “Captain” Abraham as most people affectionately call him said about 150 new guys who have not registered legally with the society but whose works are being used have received monies from the society. This is the first time such a thing has happened in the 5 year history of the society. 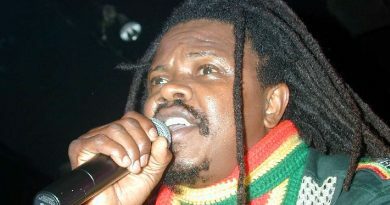 He noted that these people were selected by a special research department set up by the management and board of GHAMRO. Asked why they took this bold step he explained that the board and management realized that this was a necessary step to encourage and motivate the young generation of right owners to join the society. He stated that there is a new mechanism through which all right owners receive their monies which is through the various mobile money transfers plus which he explained is to reduce the hustle and bustle of going to the bank as well as right owners having to come to the head office in Accra which can be time consuming. Right owners who are currently receiving royalties include authors (composers) and publishers (producers) in categories A to D. The GHAMRO Administrator noted that those in categories A and B have all received their money with the first part of category C delivered on Wednesday. He emphasized that the money which was been distributed (GH1.6million) was from a blank levy which the government collects on imported CD’s, mp3 players, pen drives and so on but not the actual royalties derived from TV and radio stations, hotels, restaurants etc from users of right owners works/ arts. He assured the music industry that systems were in place and working flawlessly.